Why are curtain drains necessary? There are some properties where water tends to pool creating wet, unusable ground. Others have problems with erosion and severe run-off during storms. Such drainage problems can be solved in a variety of ways, the most effective being a curtain drain, also called a french drain by some. Curtain drains are trenches filled with gravel and a perforated pipe laid at the bottom. 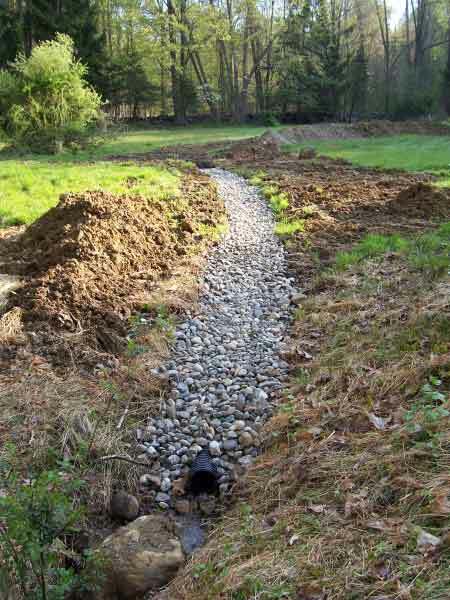 The width and depth of the trench depends upon the depth at which the water is infiltrating the ground. 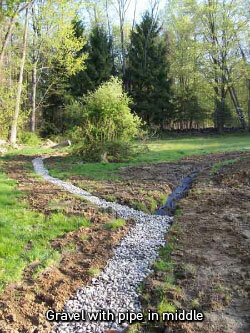 We at Precision Excavating Inc. are experienced at curtain drain system design for around septic systems. 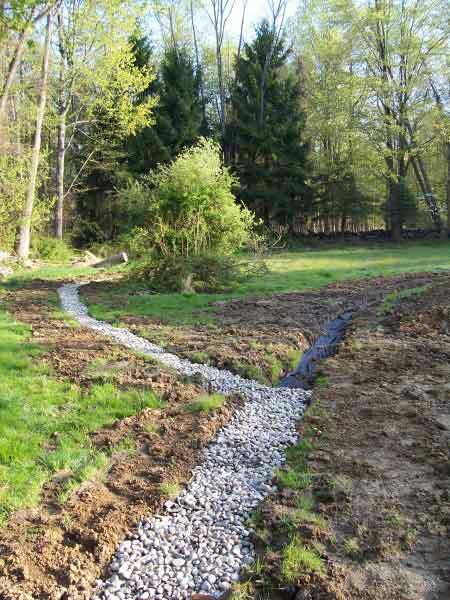 Curtain drains around septic fields assist in preventing groundwater from infiltrating the septic system. We at Precision Excavating Inc. are experienced at curtain drain system design for around the house. A curtain drain around the house can be designed to divert water before it reaches your house or foundation and thus prevent basement flooding and mold build-up.